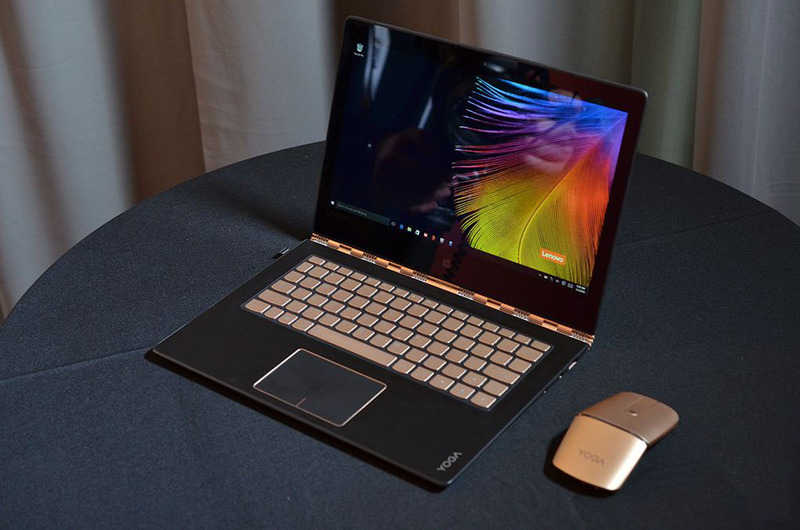 Lenovo is unveiling its latest refinement of its twisting and flipping laptop: the Yoga 900S at Consumer Electronics Show (CES). It’s really designed to be a thinner and lighter version of the Yoga 900, and it achieves that mainly by using Intel’s latest Core M processors. 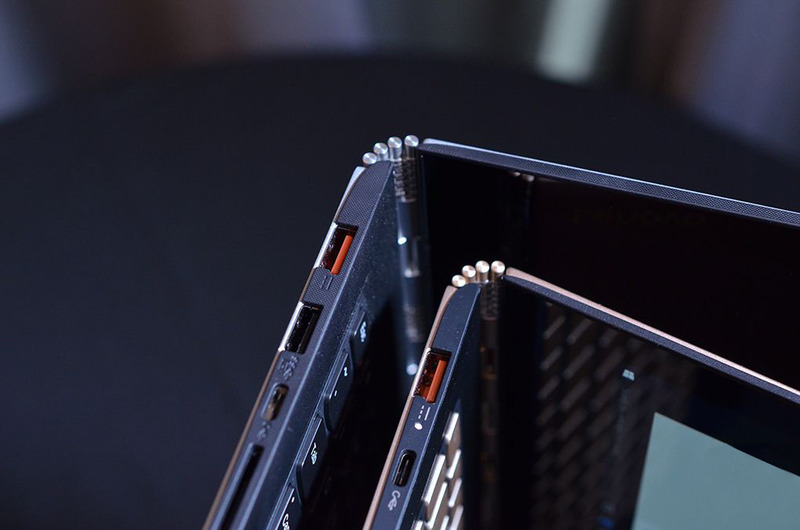 The Yoga 3 Pro never really delivered the performance and battery life that Intel’s first Core M processors promised, but the hope this time around is that the latest chips will be a lot more efficient. Alongside the chipset change, Lenovo is making the 900S a little smaller all round. Instead of the 13-inch display on last year’s model, it’s a 12.5-inch QHD panel this time that supports an active stylus. Comparing the two side by side, they’re not all that noticeably different, but the new Yoga 900S certainly feels a lot lighter. The processor and smaller screen size bring the weight down to 2.2 pounds, so it feels more manageable as a portable machine. Lenovo’s Yoga 900S includes the same carbon fiber material with the watchband hinge, but the company has slightly tweaked the design. 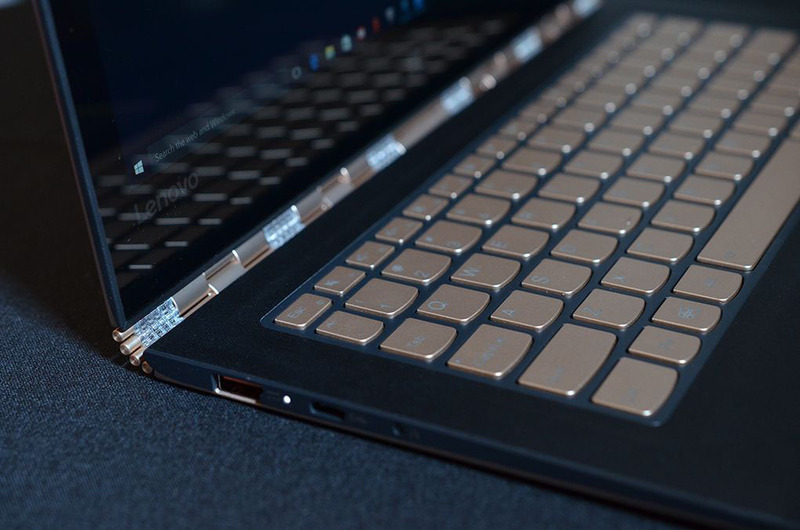 There are two color options — gold and silver — and the keyboard and hinge are colored accordingly. It’s neat touches that complements the casing and overall look, but if you’re not a fan of gold then silver is really the only option here. 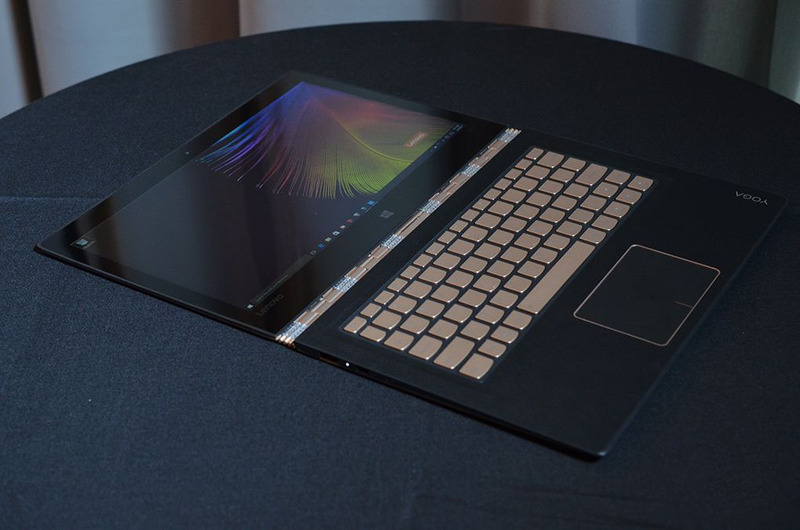 Lenovo is claiming that the Yoga 900S is the “world’s thinnest convertible laptop,” at just 0.5 inches thick. 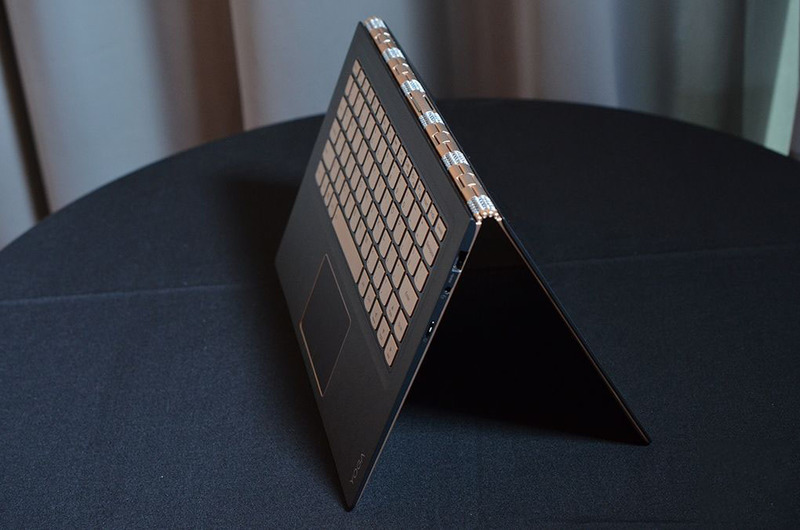 That’s a little thinner than the Yoga 900, but it’s really hard to notice when they’re both sat on a table together. With little other changes, the Yoga 900S is simply a smaller and lighter Yoga 900 with a different processor and display. 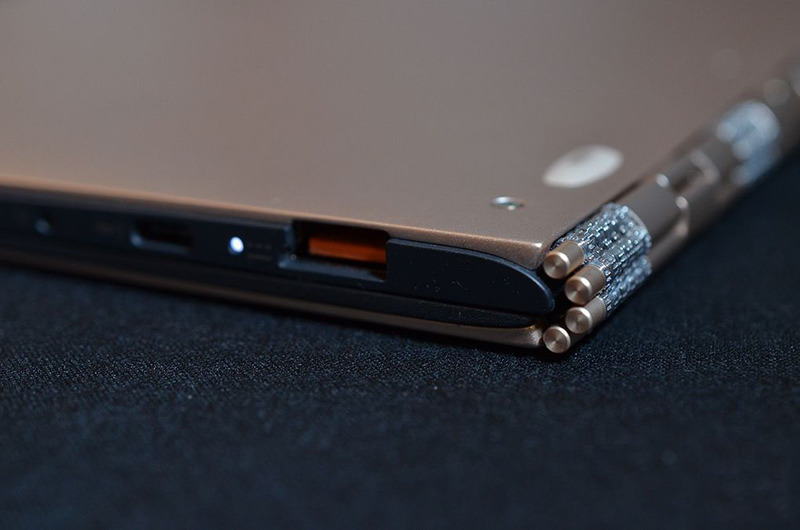 Lenovo’s Yoga 900S will debut in March priced at $1,099. 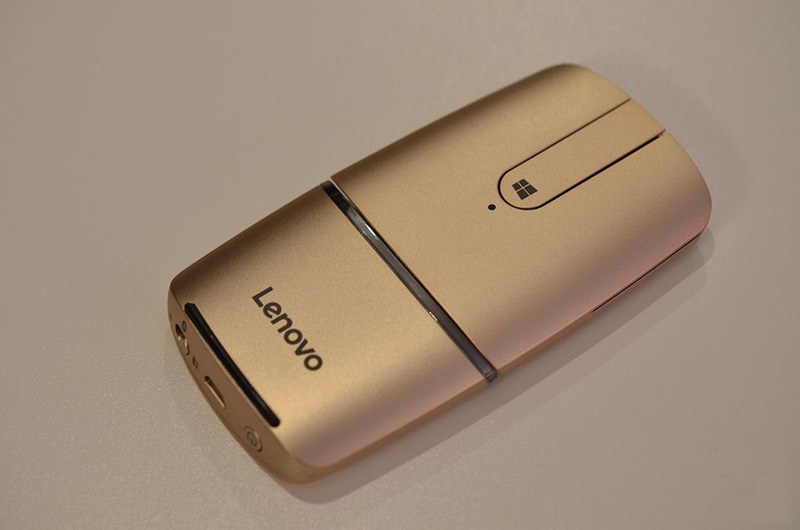 Alongside the Yoga 900S, Lenovo is also introducing its Yoga mouse. It’s designed to be a mouse you use when you’re traveling, and it compliments the new design of the Yoga 900S well. Just like the Yoga twisting and flipping, the mouse has its own tricks. You can switch between a normal mouse mode over to a remote control that allows you to control media playback and volume on any Windows machine. The mouse itself feels relatively comfortable to use, and there’s a middle button to get to the Windows 10 Start menu quickly. 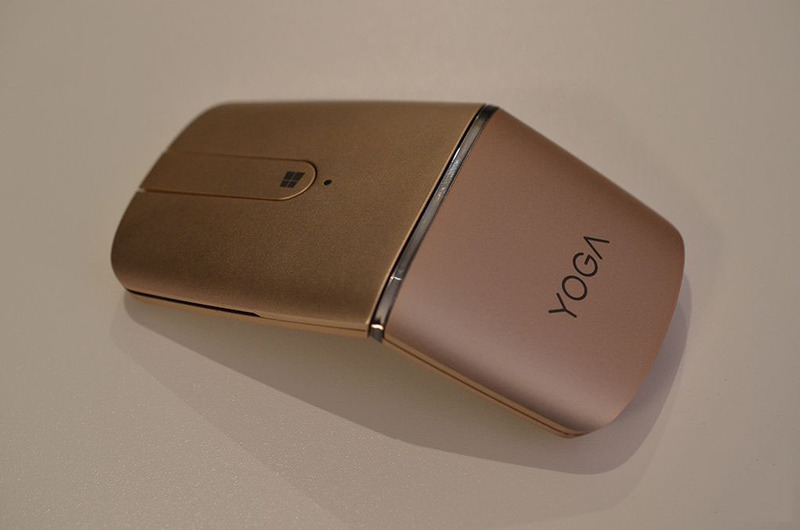 Lenovo is planning to release the new Yoga mouse in April priced at $69.99. If you liked this article, please subscribe to our YouTube Channel for tech news, reviews and video tutorials. You can also find us on Twitter, Instagram and Facebook.